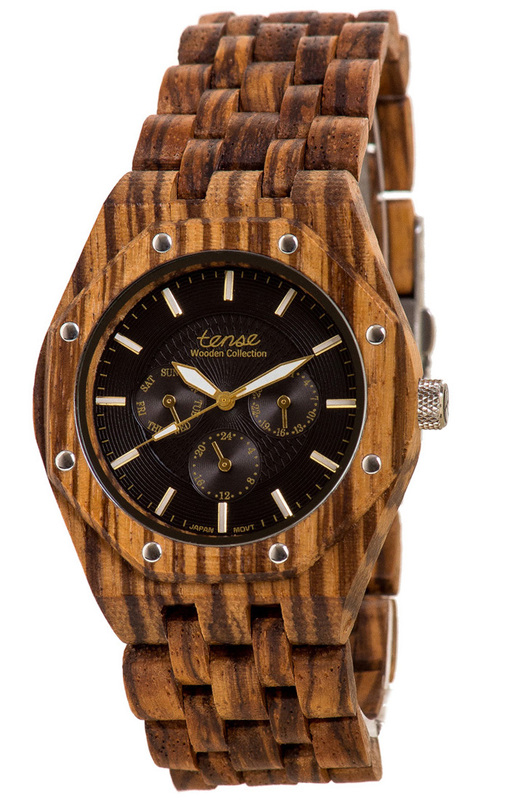 Our most expressive wood watch ”TENSE Men's Washinton” is named after Mount Washington. With a height of 1585, it is one of the highest mountains on Vancouver Island. From the peak you have a gorgeous unobstructed view on the open Pacific Ocean, Vancouver and the west coast of British Columbia - the home of our wooden watches. Mens Watch made of Karriwood. Mens Watch made of Karriwood and Black Oak.